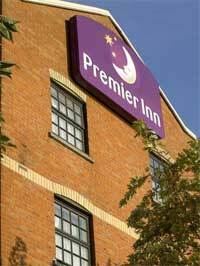 This immensely popular Premier Inn can be found in the Central Bay area of Salford Quays. As cheap as chips as just as tasty. Business folks arriving in Manchester for the MediaCity UK and the Salford Keys Centre couldn't be better located. This is a tasty little budget option specially designed and managed for busy kinds of folk doing busy kinds of things. It might not have much in the way of facilities (there's no swimming or gym for instance) but it is a solid and reliable option for guests seeking a minimum of fuss, fast and flexible check-in and a sound night's sleep. Guests at the hotel can look forward to an amazing all-you-can-eat breakfast that features cooked items, vegetarian options and a wide continental selection. Families will also be pleased to learn that kids under 15 years of age lodge and breakfast for free when kipping down in the same room as their parents. The Premier Inn also boasts heaps of free on-site parking.